In the spirit of the Chinese Year of the Rabbit, which officially begins this Thursday, here's a selection of rabbit photos that moved today. See more Year of the Rabbit images on PhotoBlog. 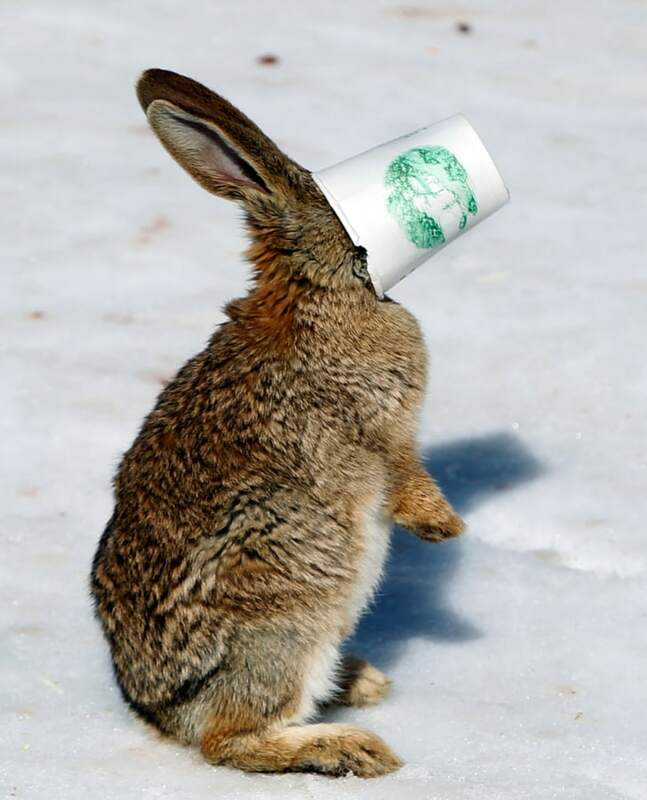 A rabbit trying to eat food gets stuck to the bottom of a cup during a snow carnival in Beijing, China, Monday, Jan. 31. 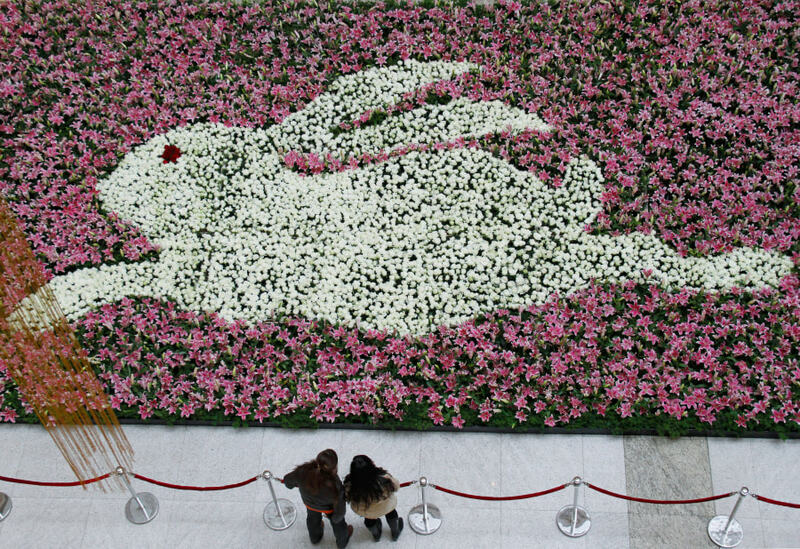 Customers look at a giant rabbit-shaped decoration made of white roses and lilies for the upcoming Chinese Spring Festival at a shopping mall in Nanjing, Jiangsu province, Jan. 31. The Lunar New Year begins on February 3 and marks the start of the Year of the Rabbit, according to the Chinese zodiac. 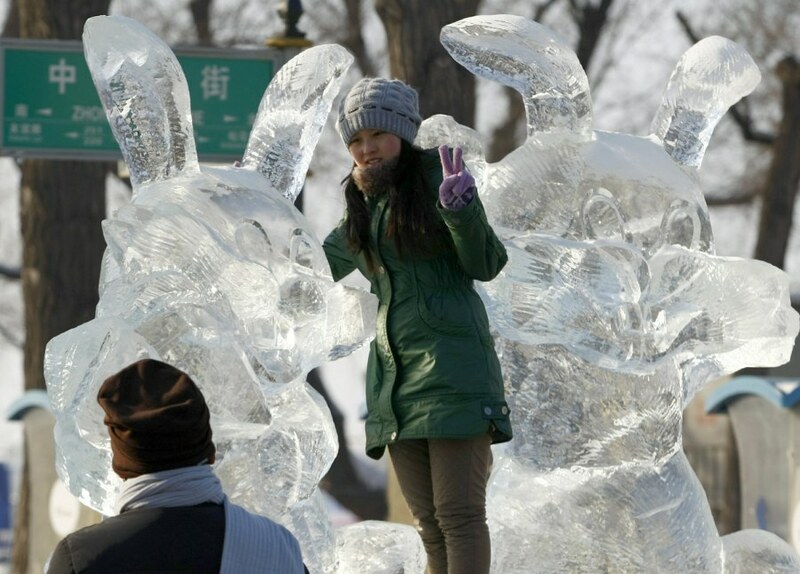 A Chinese woman poses with a rabbit ice sculpture on display at an ice and snow festival for the upcoming Lunar New Year celebrations in Harbin, northeast China's Heilongjiang province, Jan. 30. In stews, as pets or adorning shop windows, rabbits are ubiquitous as millions of Chinese mark the Lunar New Year, hoping for a more tranquil time ahead as the old Year of the Tiger roars its last.